Memorial services for Christopher Benson of Hancock, MN will be Tuesday, January 29, 2019 at 11:00 a.m. at Our Redeemer's Lutheran Church in Hancock, MN. Visitation will be one hour prior to services at the church on Tuesday. Christopher Allen Benson, son of Allen and Susan (Miller) Benson, was born September 4, 1971 in Morris, Minnesota. He was baptized and confirmed at Our Redeemer’s Lutheran Church in Hancock. Chris grew up and attended school in Hancock. Following his schooling, he worked as a welder. He was united in marriage to Jeanine VerSteeg on November 26, 1997 in Sisseton, South Dakota. The couple made their home in Hancock, Minnesota. In 1998, Chris began working at Hancock Concrete as a welder. He continued to live in Hancock with his wife and two children until the time of his death. 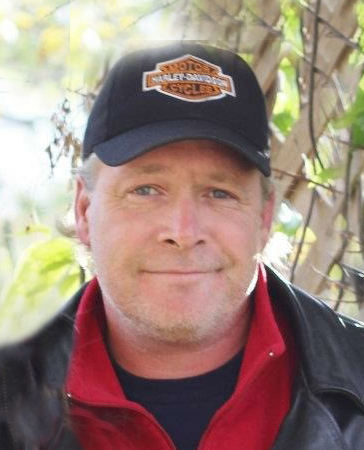 Chris enjoyed working on cars, fishing, deer hunting and his dogs. Most of all, he enjoyed spending time with his kids and friends. Christopher died on Thursday, January 24, 2019 at his home in Hancock. He was 47 years old. He is survived by his wife: Jeanine Benson of Hancock; one son: Nickolas Benson of Hancock; one daughter: Alexis Benson of Hancock; his parents: Allen and Susan Benson of Hancock; father-in-law and mothers-in-law: Sonny and Theora VerSteeg of Hancock and Nancy Houghtalin of Hasting, MI; one sister: Renee Benson of Morris; brother-in-law: Tim VerSteeg of Benson and many aunts, uncles and cousins. He was preceded in death by his grandparents: Olie and Agnes Benson and Raymond and Roberta Joann Miller-Opyt; two uncles: Curtis and Wayne Benson; aunt and uncle: Marilyn and Marvin Grammentz and cousin: Michael Steen.